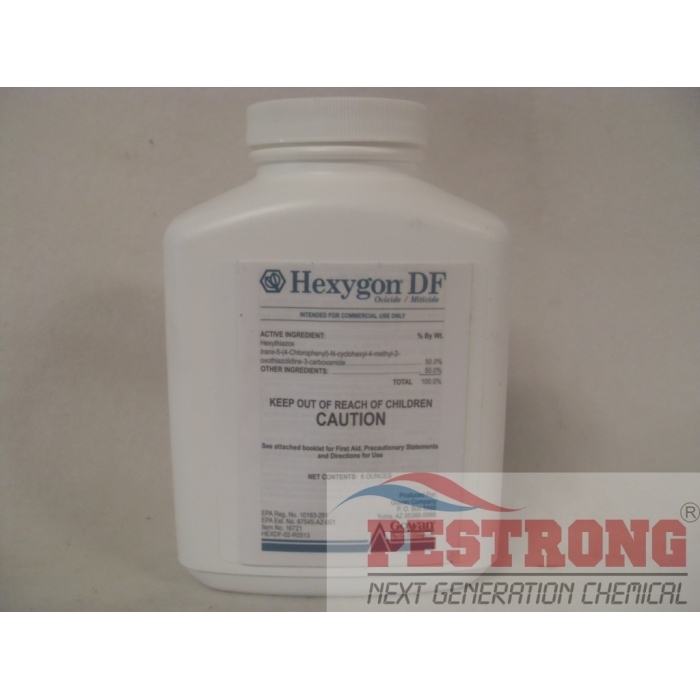 Where to Buy Hexygon DF, Hexygon DF Long Residual Miticide - 6 oz - $199.95 for Sale with Fast Free Shipping! Hexygon DF Long Residual Miticide - 6 oz is long lasting Ovicide Miticide that provides effective control of spider mites through activity on eggs and immature stages up to 60 days in proper conditions without disrupting beneficial insects and mites. By buying this product & leave product review you can collect normally 19 reward points as a voucher of $1.90(1%). Adult mites are not directly affected. However, eggs produced by females in contact with treated surfaces will be rendered nonviable. – controlling mite population through life cycle interruption. Hexygon is ideal in an IPM program, compatible with most horticultural pesticides and adjuvants. I had problem with mites, really really annoying and possibly dangerous, so I asked around and I got a recommendation for Hexygon DF, my friend said it doesn't kill the mite directly but it gets rid of them for good by messing with their life cycle. Well he was right, now I don't see any of those bloodsuckers bothering me anymore.